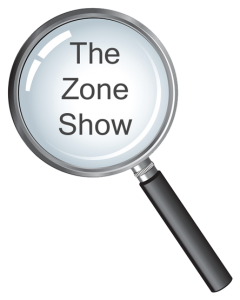 This month’s Zone Show was even more jam-packed than the last – and I’m thrilled Rita Emmett turned the tables on me. Note that over the year, I’ll be doing more and more vodcasts too. In conversation with Rita Emmett on my new book, New Magic for a New Era. Singer, Musician, Sound Therapist & Vocal Coach, Katie Rose, shares some of her music and her sonic wisdom in this entrancing podcast. Author, equine facilitator and cancer survivor, Yolanda Sing, talks about how a horse saved her life, how horses got her out of the corporate world and how she got the corporate world to sit on horses ! Author and world-renowned hypnotherapist, Roy Hunter, explains how we can use the power of hypnosis to take stress out of our lives and perform at our peak. Lillian Ogbogoh, the progenitor of Born For This, explains why she brought 27 authors together to share their journeys to success in life, love and business. Fascinating and enlightening conversation with Philip Comella on his book, The Collapse of Materialism: Visions of Science, Dreams of God, exploring why science isn’t dead in the water but in need of an upgrade.